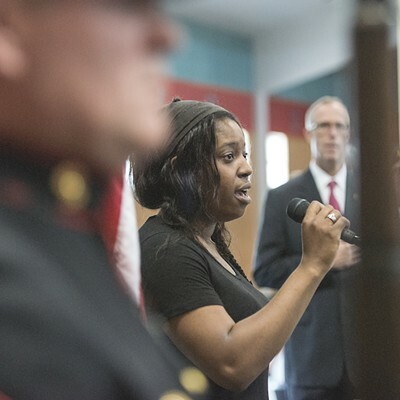 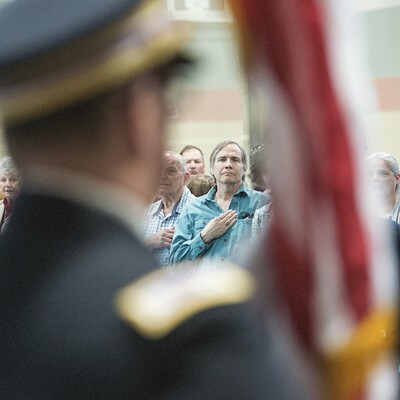 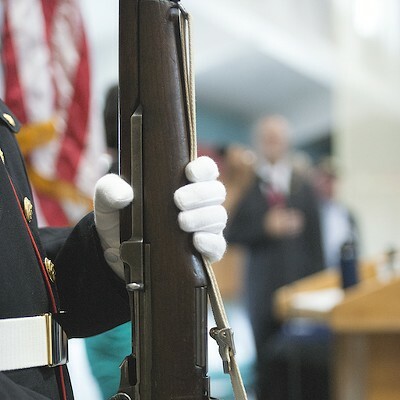 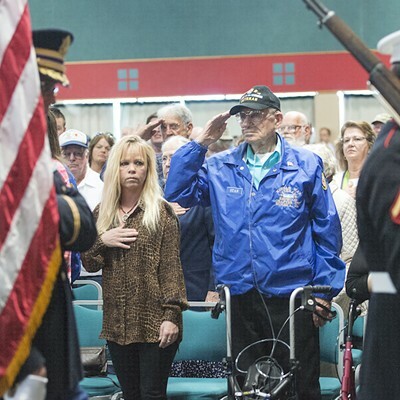 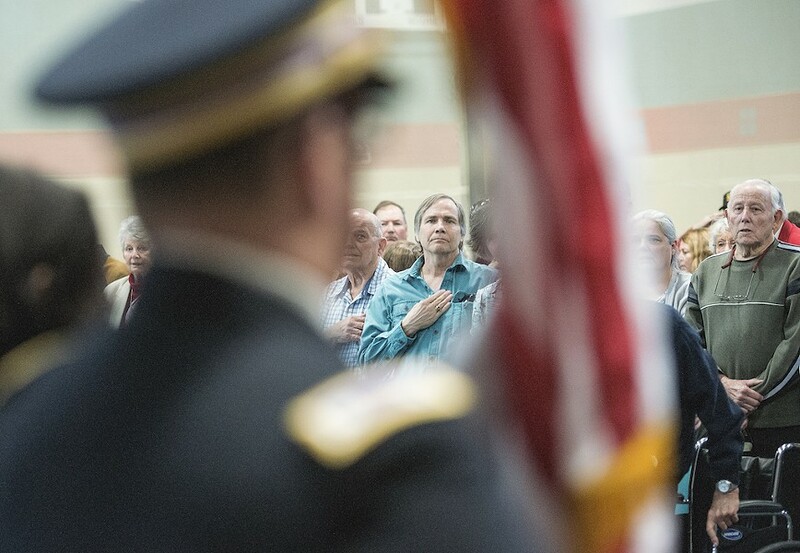 More than 70 Korean War veterans and their families came to the Adorni Center on Saturday, where North Coast Congressman Jared Huffman presented them with medals from the Republic of Korea. 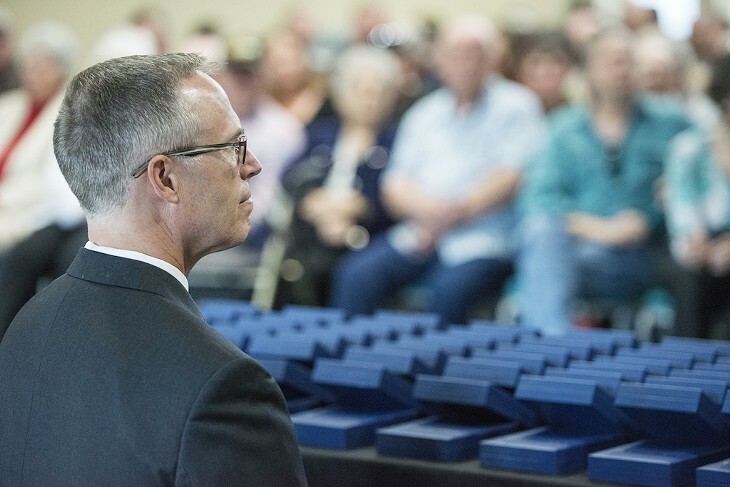 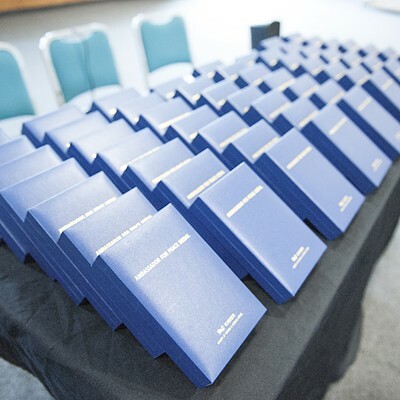 North Coast Congressman Jared Huffman presented more than 70 local Korean War veterans with medals from the government of the Republic of Korea on Saturday at a ceremony in the Adorni Center. 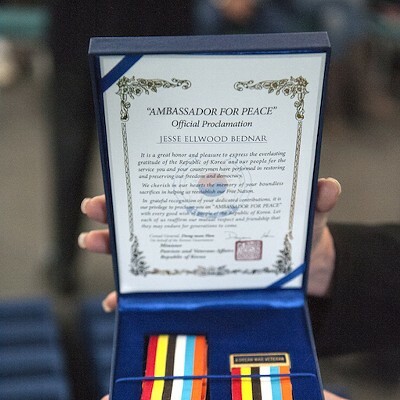 The Ambassador for Peace medals were awarded in appreciation from the people of the Republic of Korea to those who served in the war. 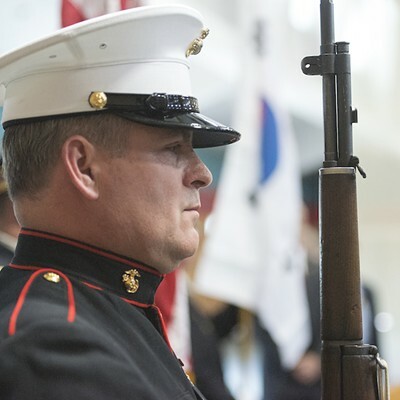 The medals were initially given to veterans who returned to South Korea as a part of the "Revisit Program," but have recently been offered to veterans who can no longer make the trip. 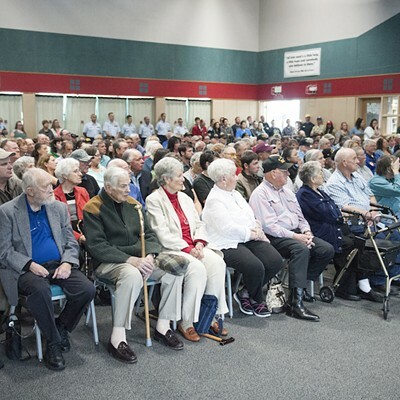 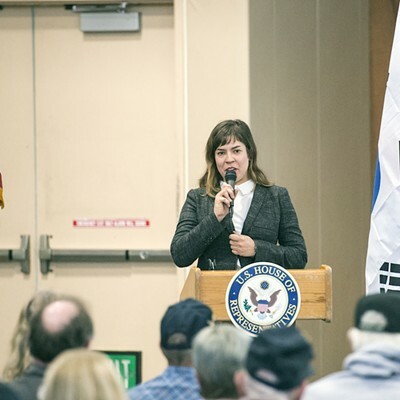 Huffman's office worked with the Korean Consulate to obtain the medals on behalf of local veterans and coordinated the medal ceremony, which also saw Eureka City Councilmember Natalie Arroyo and Humboldt County Supervisor Virginia Bass address the crowd. 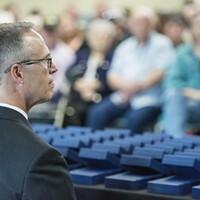 Local photographer Mark McKenna was there to capture the ceremony, and shared the following images.